We had a very successful show last month in Norco. 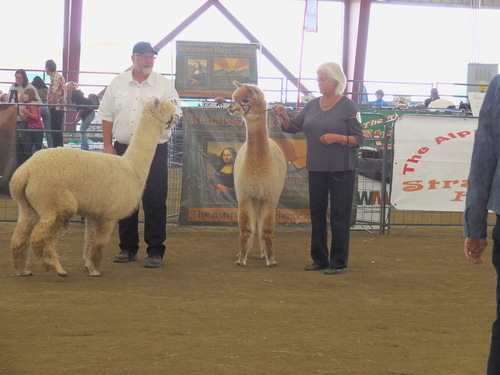 Over 200 animals competed for the top ribbons. I showed 2 females this year and came in 2nd and 5th. I was proud of my girls. 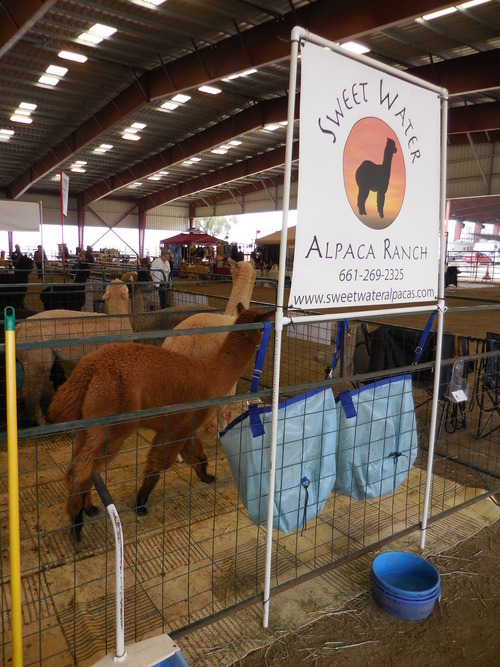 There was a good number of vendors selling alpaca products, anything from little alpaca toys to beautiful scarves, hats, jackets, sweaters, shawls etc. and alpaca yarn. There was also an alpaca craft competition with people voting for best art/craft work. And it didn't stop there! 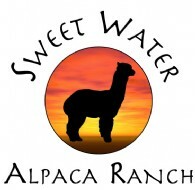 People could also bid for raw fleece as well as numerous alpaca products in a silent auction.